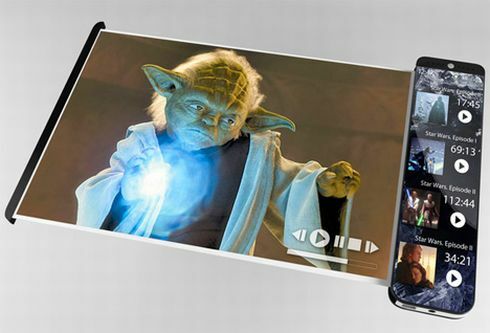 Flexible displays are all the rage, when it comes to concept phone technology, but what about real life gadgets? 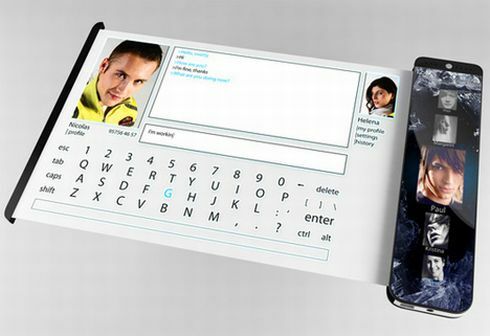 We’re content with dreaming for now, as we’ve yet to see a commercially available product of this kind, but we hope that handsets like the Mobile Script Phone, pictured below will make it into production. 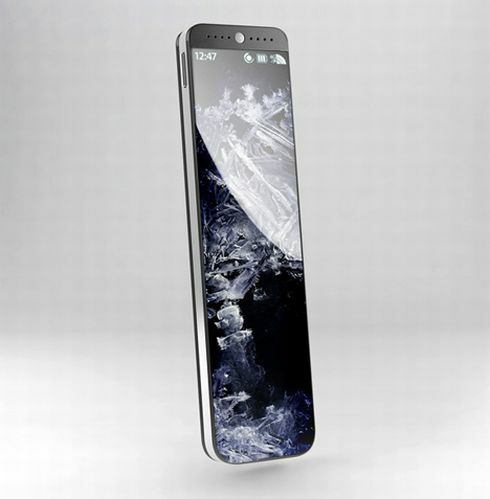 Created by Aleksandr Mukomelov, this concept phone comes with 2 touchscreens, one of them a traditional screen and the other a flexible OLED display that gets stiff once electric current passes through it. You’ll be able to use the second screen as a scroll, in order to increase the display the potential of the device, while viewing movies or editing documents/browsing the web. 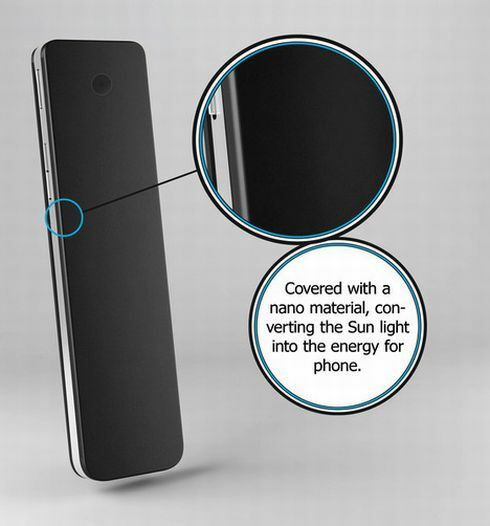 The handset is also revolutionary when it comes to charging, since it uses a photo sensitive nano material, covering the device and charging via sun light, that gets turned into energy. 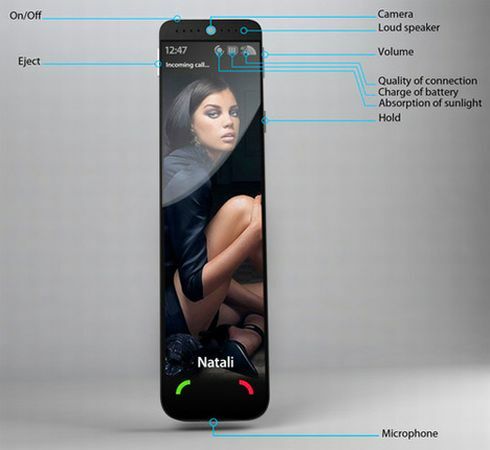 A superb phone design and great features! Great work!